"After entering Best Buy I first asked the greeter where I could find the Zune HD. His response, “the what?” I then explained that it was Microsoft’s latest music and video player. He pointed me towards the music device section. Once I arrived in that section I saw the Apple devices on display, the Sansa devices, and then the Zune section. Noticeably absent was the Zune HD." 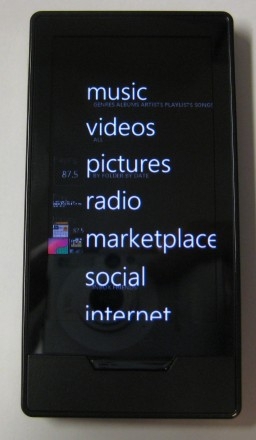 Geek.com has a combined purchase experience and first impressions review up on the Zune HD. While the Best Buy experience sounds slightly humorous, I think if I was Microsoft I'd be a little annoyed with Best Buy if this was common across all of their stores. Was anyone else in Best Buy at launch to know if this was a common problem or perhaps just something specific to this store? Hopefully this was an isolated problem. Geek does like the Zune HD overall but I think they have some pretty legitimate gripes with the out of box experience. I don't understand why Microsoft makes the Zune pretty much unusable until you've hooked it up but I've seen this trend in other devices too. My G1 was completely useless until I had it all set up with my GMail account. The Zune HD really has gotten a pretty good reception so if Microsoft is trying to breath new life into the platform its a good start. Let's see if all of this positive press translates into sales.